A history of design excellence. Reno Machine Company Inc. acquired Design Company, Inc., DECO, in 2010. Design excellence and a high level of customer service have always been hallmarks of our approach. 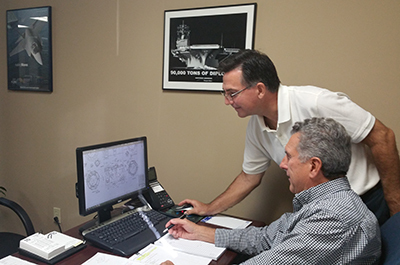 Now, together we can provide OEMs with “one-stop shopping” for high-quality design and precision machining services. DECO can provide the short-run technical staffing (designers and engineers) you need to meet project goals. Using out contract designers and engineers offers you a cost-effective solution to meeting the specific needs of your project.